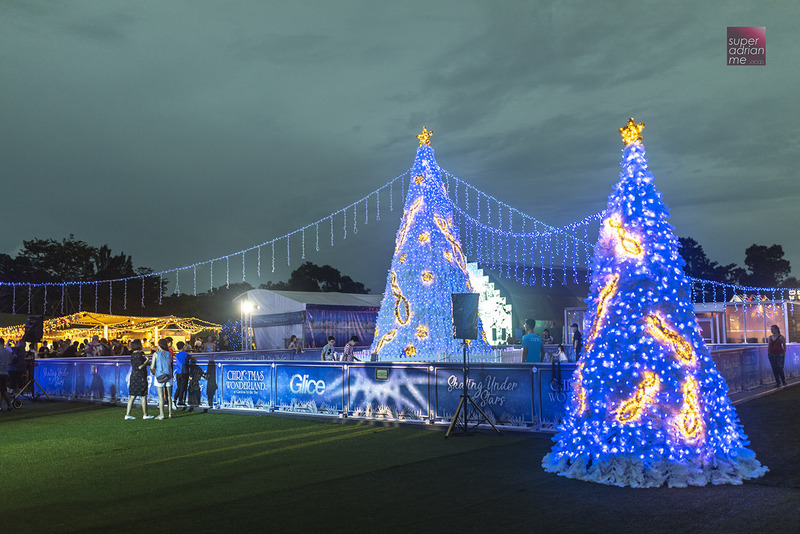 Gardens by the Bay has once again been transformed into a Christmas Wonderland. The fifth edition of this annual European-style Christmas Fair features new highlights across 57,000 sqm till 26 December 2018. Get your tickets online and enjoy a discount of S$2. 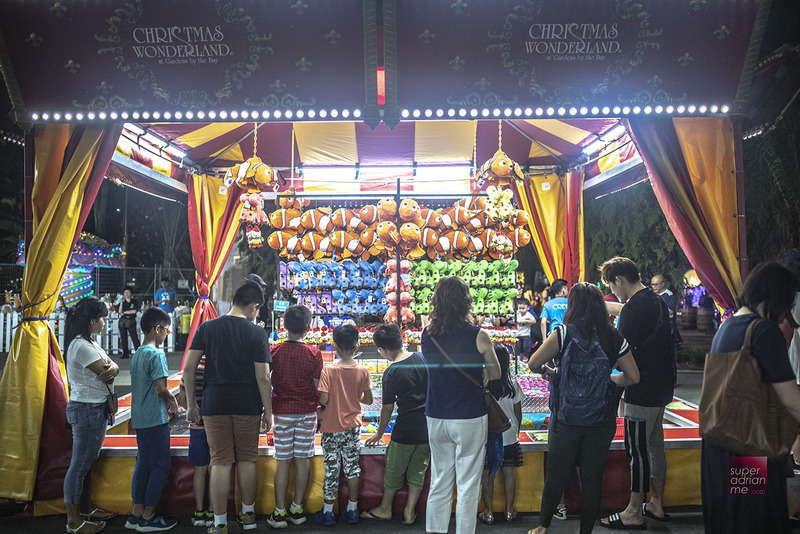 Otherwise, they are available onsite for S$6 from 30 November to 6 December, S$8 from 7 to 13 December and S$10 from 14 to 26 December. Opening hours are from 4 to 11 pm daily. Asia’s tallest luminarie Christmas tree illuminated in gold at the entrance of Gardens by the Bay. 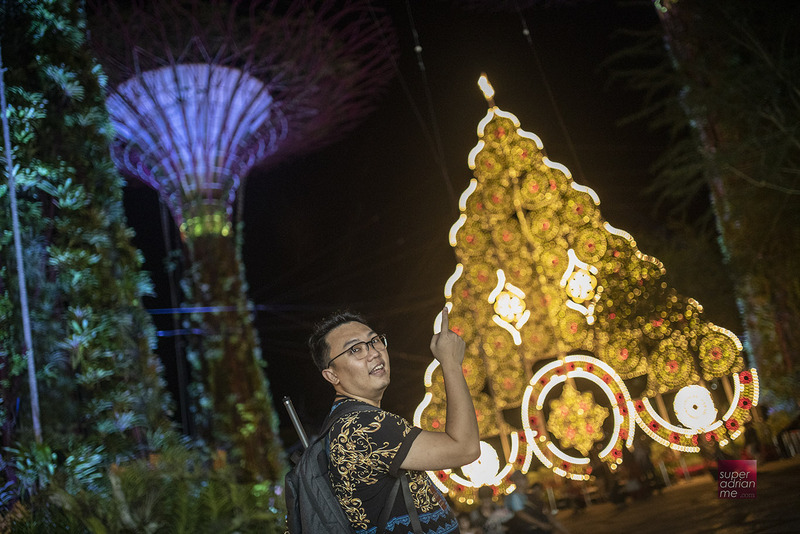 When you drop off at the main entrance of Gardens by the Bay, you will be greeted by Asia’s tallest luminarie Christmas tree illuminated in gold. Best to take a photo with it when it is dark, so if you are here early, this could be your last photo opportunity on the way home. 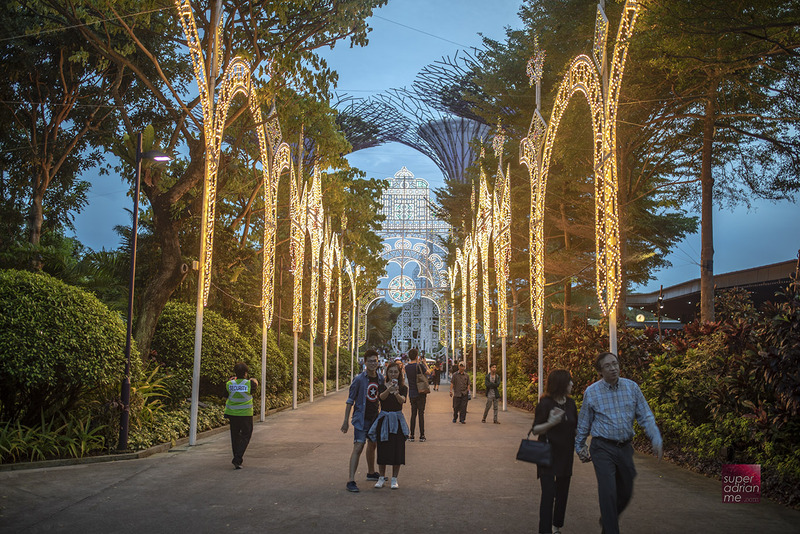 Walk through these luminaries arches that will lead you to the Super Trees where you will be greeted by the iconic seven-storey high Italian luminarie Mirror Maze. 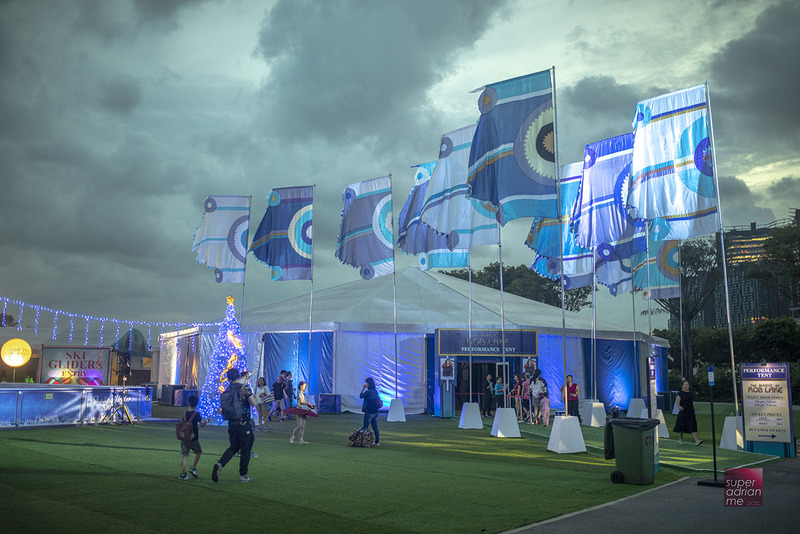 The Festival Market feature shops selling food and gift items perfect as presents for the festive season. This area is also where you get to enjoy a Blizzard Time where you can experience the wonders of ‘snow’ in the tropics. 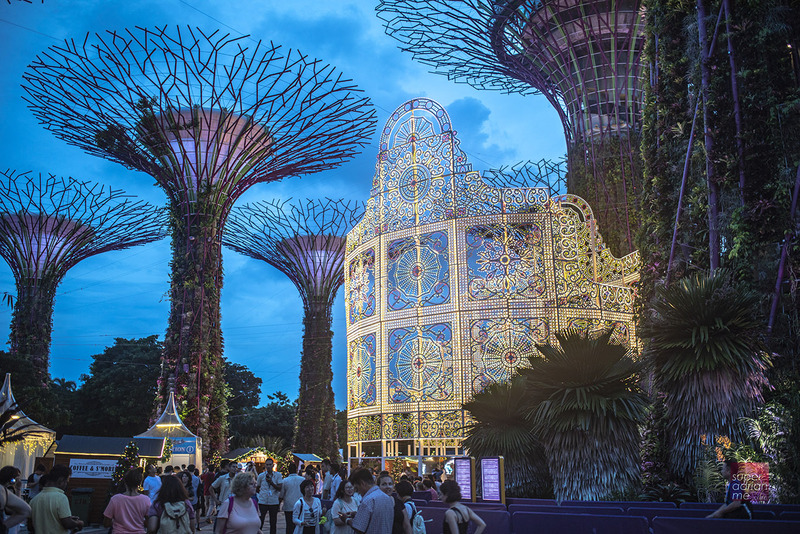 Stick around to watch the Garden Rhapsody – The Christmas Special, an all-new Christmas edition of the sound and light show. 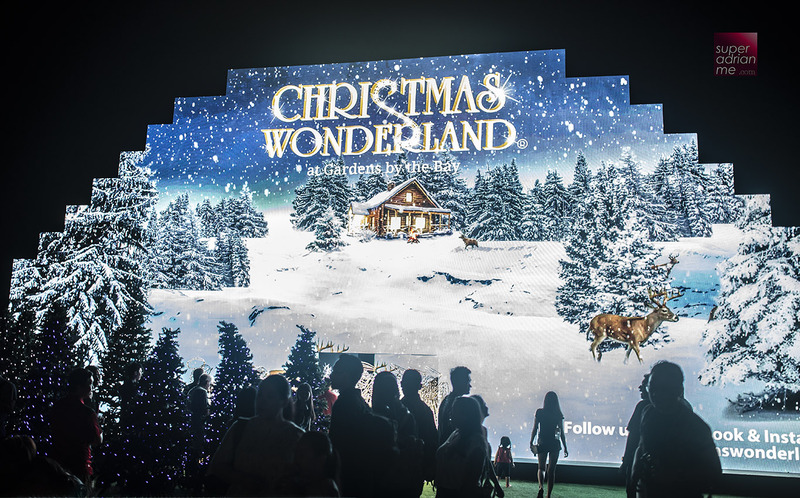 This is quite spectacular as you see the lights sync to the music. There is a lot happening at the Meadow. 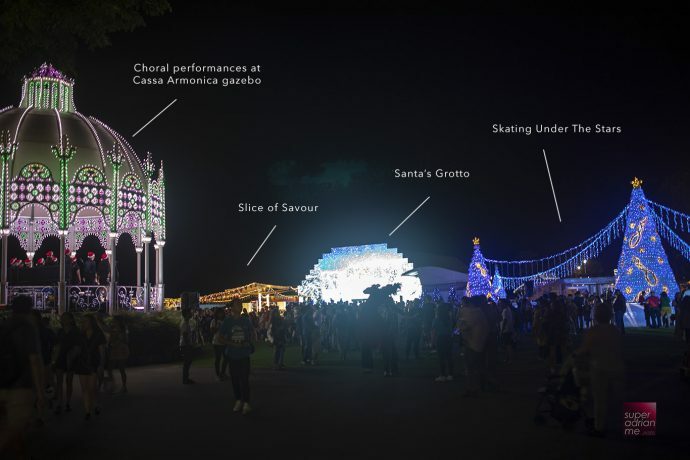 This is where Skating Under The Stars, Santa’s Grotto, Slice of Savour, The Magic of Rob Lake and Choral performances are. 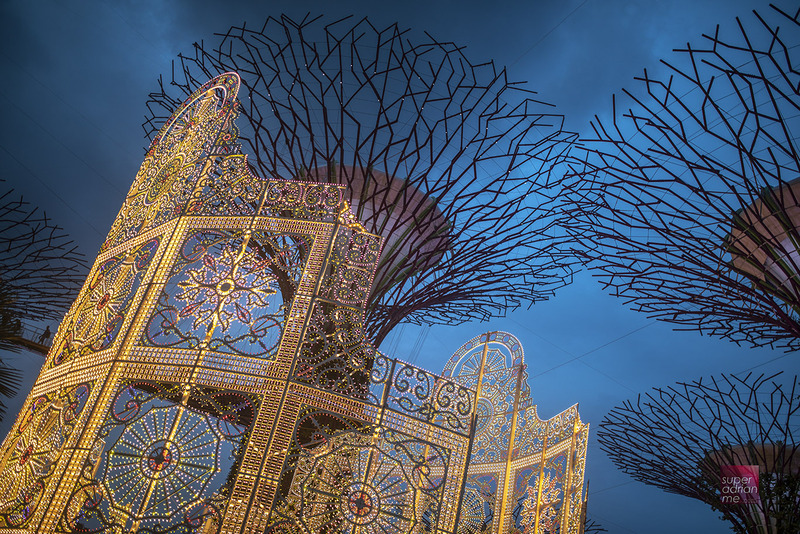 While you walk from The Supertree Grove to The Meadows, you’ll get to play the carnival games and kiddy rides. You’ll have to pay for these games. Who knows what you may bring home if you are skilful or plain lucky. Everything turns into a shade of blue at The Meadow. 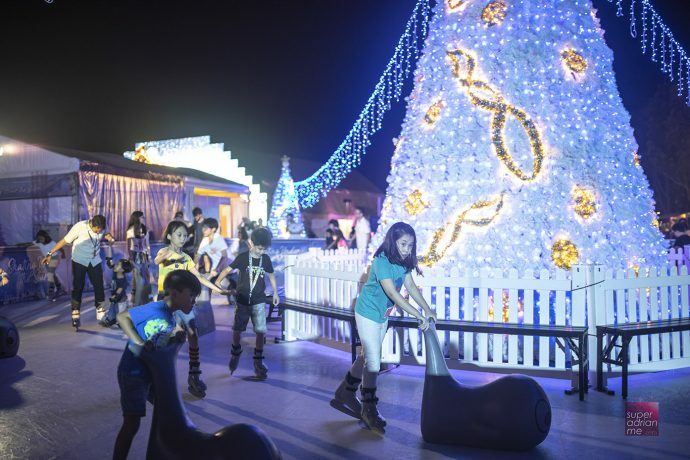 Skating Under the Stars is Singapore’s biggest outdoor skating rink where you can skate around an eight metre tall illuminated Christmas tree. 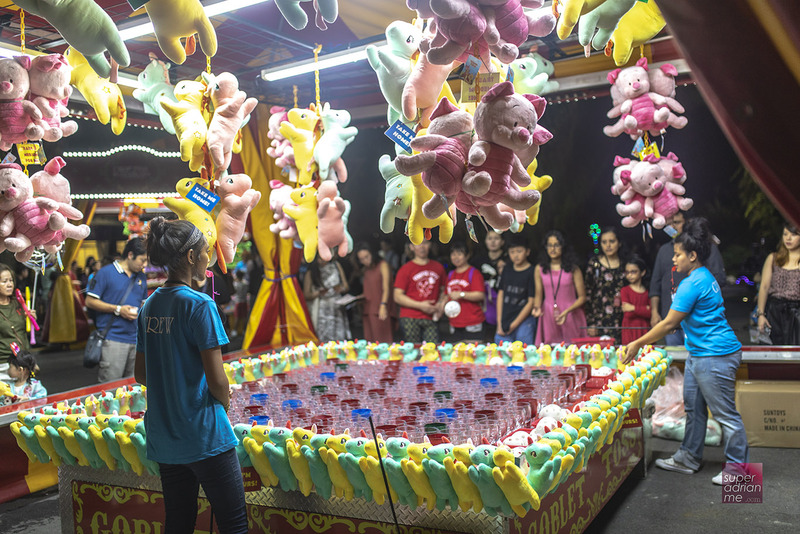 A 30-minute session will cost you S$10 per adult and S$8 for children. Purchase your tickets at the skating rink. Just next to the skating rink is the airconditioned tent where you can catch The Magic of Rob Lake. Rob Lake is the quarterfinalist of America’s Got Talent 2018 and internationally renowned illusionist. 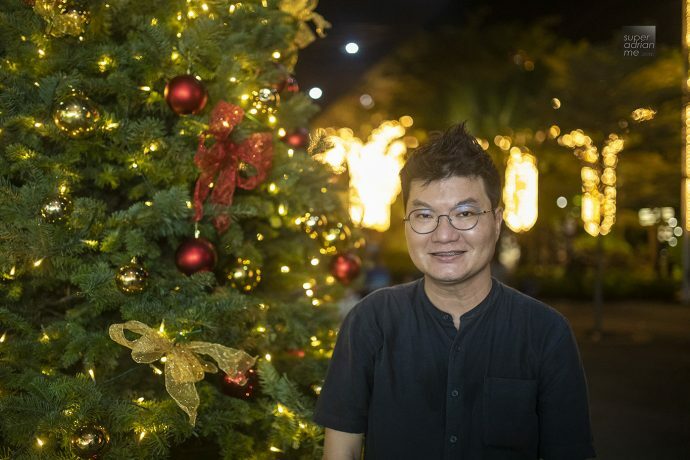 He was named “The Top Illusionist in the World” by Caesars Entertainment this year. 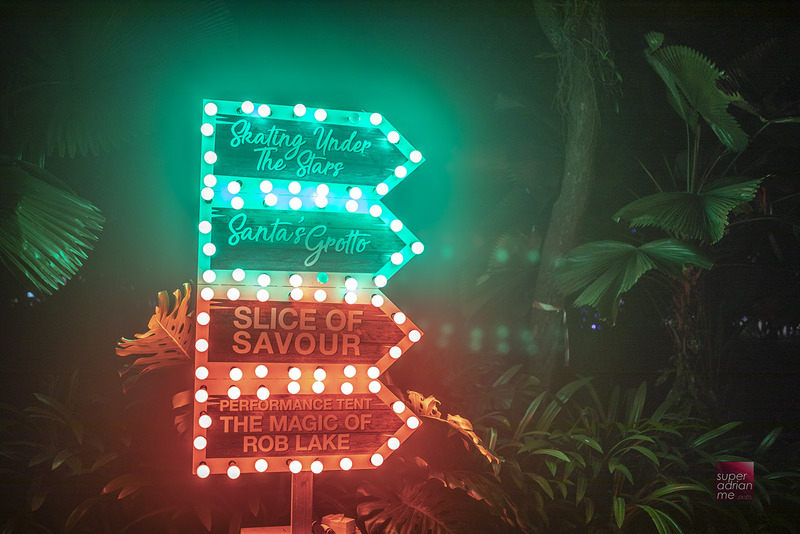 Rob’s show is 45-minutes long and is priced at S$14 for adults and S$10 for children onsite. 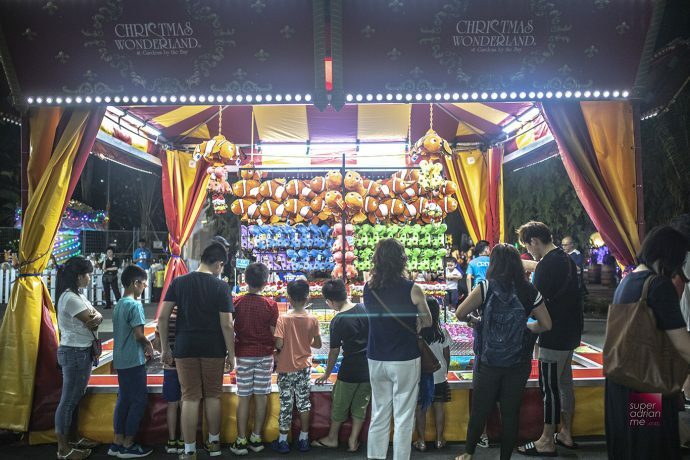 If you purchase tickets bundled with admission tickets to Christmas Wonderland 2018 online, there is a S$2 discount. 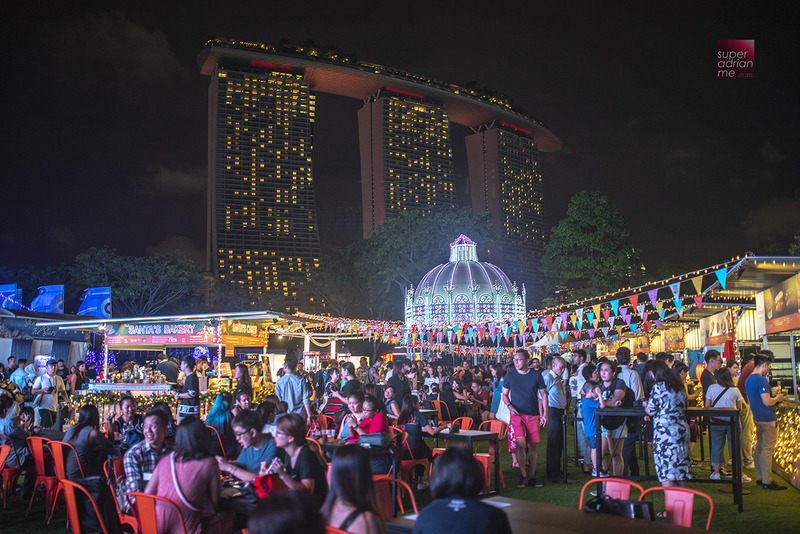 Food and drink is available at Slice of Savour, a bite-sized format of SAVOUR Gourmet Festival. Food curated by some of Singapore’s trendiest restaurants is priced from S$6. You can expect favourites from Saint Pierre by Emmanuel Stroobant and Sinfonia by Chef Simone Depalmas, Italian cuisine from Monti, western cuisine from Bee’s Knees, modern Chinese bites from Blue Lotus by Chef Ricky Ng, burgers from Three buns and Christmas Cocktails exclusive to Christmas Wonderland by Three Wisemen. Santa’s Grotto is absolutely gorgeous. And it’s air-conditioned too. This 400 sqm attraction is a photo zone where you can get really beautiful shots with lighted installations and the mesmerising kinetic light installation from Germany. If you see this Queue poster for Santa’s Grotto…. There’s going to be a queue for this popular attraction. 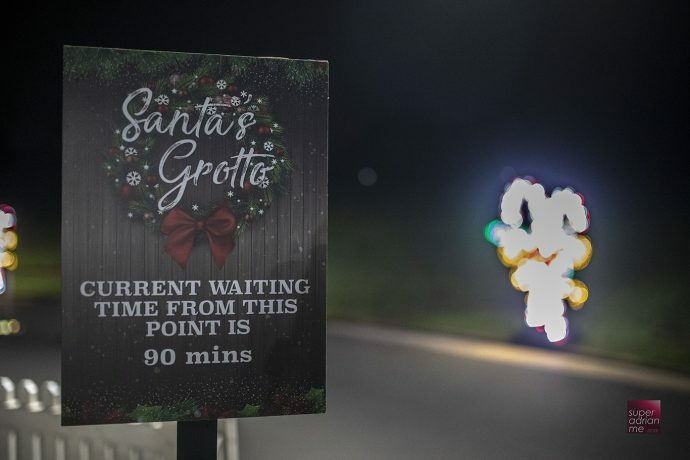 But we hope you don’t get to the 90 minute point of the queue. 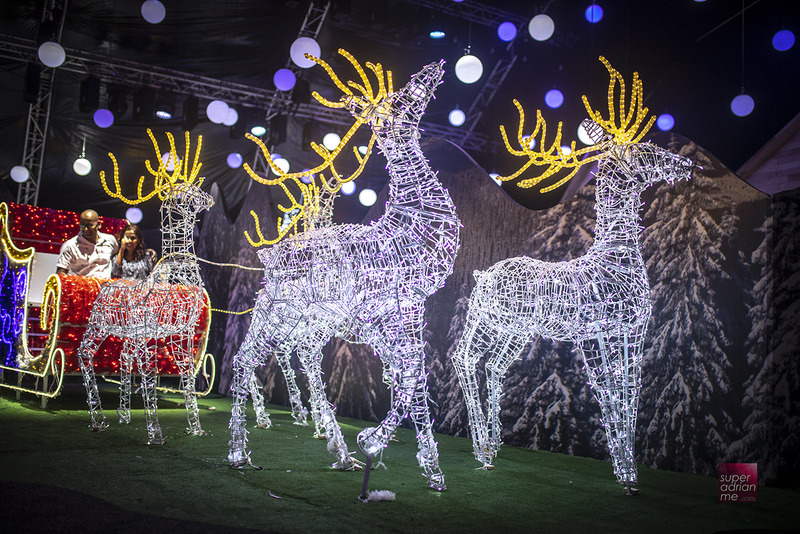 Step into Santa’s Grotto and you’ll be greeted by lighted reindeers. Hope onto the sled and get a beautiful photo taken while you are here. And you get a chance to take pictures with Santa Claus just before you leave his grotto. Don’t take too long. Let others enjoy the fun while in the grotto too. Enjoy live performances and choral sessions at the Cassa Armonica gazebo just in front of Slice Of Savour. 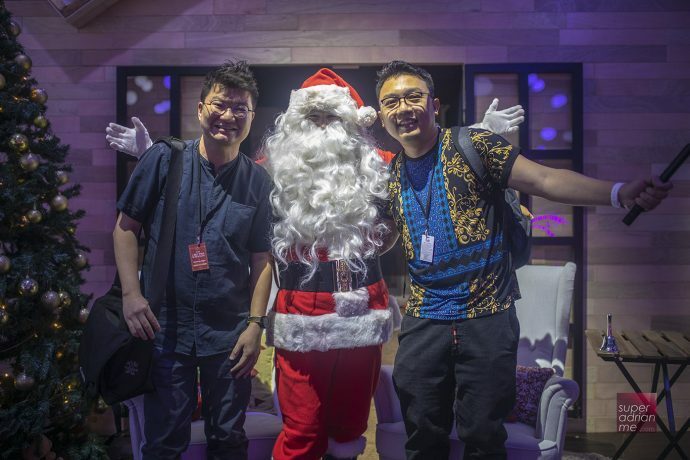 A line up of local music talents including Joanna Dong, Rani Singam & Andrew Lim, Lorong Boys, Orchestra Collective, Sobs, Sara Wee x Joie Tan x JAWN and .gif will perform at Christmas Wonderland.